Protect the Scotchmans for future generations! Thank you for telling a friend! Welcome to our Business Supporters! 12/12/18 - Make the Pledge! 03/29/19 - For the children, present and future. 02/11/19 - What’s in your heart this Valentine’s Day? 01/09/19 - We love our Friends. Help us celebrate them! 12/21/18 - Are you on his list? 12/19/18 - Fourteen years of FSPW will be celebrated January 13! 12/11/18 - What’s in your heart? 11/21/18 - Give Thanks to the Wild – Especially the Volunteers! 09/13/18 - Friends of Scotchman Peaks Wilderness launches online wilderness art auction. 09/06/18 - The Harrison Family (all eight of them) hike Scotchman as FSPW Goat Ambassadors. 08/02/18 - Get more “bank” for your buck by helping out with our Cinnabar Match! 07/30/18 - Britta Mireley is our new Deputy Executive Director! 06/27/18 - July 1 is the Sanders County Picnic! 06/15/18 - 2018 Friends Scholarship winners announced. 05/17/18 - Our summer hikes and events are filling up fast! 05/03/18 - May 11 Friday Night Pints for a Cause at the 219! 04/13/18 - Extreme Plein Air Art Reception at Evans Brothers Coffee April 20! 03/22/18 - Join us in Priest River for a great presentation on David Thompson! 03/08/18 - Friends of Scotchman Peaks stalwart Jim Mellen is Chamber volunteer of the Month. 02/23/18 - Super-Hiker to visit the Scotchmans. 02/17/18 - The boss says “More parties, less meetings!” So . . .
01/28/18 - OUr 2017 Annual Report is ready to read. 01/24/18 - Friends of Scotchman Peaks Wilderness is hiring! 01/24/18 - Mindy Ferrell awarded Brass Lantern by Montana Wilderness Association. 01/02/18 - Thank you to all of you who are supporting our 13th Anniversary Party! 12/15/17 - Outdoor enthusiast Nancy Schmidt will coordinate the 2018 Winter Tracks program. 11/03/17 - The 2017 Scotchman Peaks Photo Contest is on Facebook! 10/03/17 - Come Wander Wetlands with FSPW! 07/14/17 - Hilary VanVleet is the Noxon High FSPW Scholarship winner. 06/16/17 - Reilley Wolfe of Sandpoint was the 2017 Overall Scholarship Winner. 06/08/17 - Bring your kids hiking with FSPW! 05/24/17 - ICL’s Rick Johnson will give the keynote at the 2017 State of the Scotchmans. 05/03/17 - Check out the new edition of Peak Experience! 04/11/17 - Karen Robinson is Friends of Scotchman Peaks Wilderness first Artist-in-Residence. 03/16/17 - Wilderness, what is it good for? 12/29/16 - FSPW seeks Lincoln County Outreach Coordinator. 12/07/16 - Tyler Chisholm joins Friends of Scotchman Peaks Wilderness staff. 11/22/16 - Happy Holidays to Friends, one and all! And thank you! 11/09/16 - Voices in the Wilderness is now available! 11/07/16 - Come hiking with FSPW this winter! 10/13/16 - FSPW is on the lookout for a winter employee! 08/24/16 - Shey Hannum went hunting and got more than she expected! 08/15/16 - The annual photo contest is on! 06/24/16 - 2016 Cinnabar match is growing. You can help us achieve our goal! 06/24/16 - Thompson Falls Council endorses the Scotchmans . . . again! 05/04/16 - Wilderness First Aid Classes still have openings. 04/14/16 - Makayla Cichosz-King takes us on a wild ride from long ago. 04/06/16 - Crosscuts and trail building and hikes, oh my! 04/04/16 - The jobs have been filled! 03/28/16 - Scotchman’s Peak Trail Is Open!!! 03/24/16 - It’s a Spring Two-fer Good Causes on March 30th! 03/05/16 - FSPW is seeking a full-time employee! 02/25/16 - Mollie Kieran is our newest board member! 02/16/16 - Scotchman Peak Trail reopens! 02/09/16 - Come out and play! We really do have a lot to do! 02/08/16 - Voices in the Wilderness: Moose are the drama queens of the wild. 01/21/16 - Beer or wine? The age old debate is finally being settled. 01/21/16 - Article and opinion in the Bonner County Daily Bee stand out! 01/18/16 - OUr 2015 Annual Report is now available. 01/07/16 - Learn to track from a master on January 16. 12/17/15 - The Photo Contest is (finally) up on Facebook! 12/02/15 - Celebrate 11 years of Working for Wilderness. 11/25/15 - Winter Tracks Is Right Around The Corner! 11/25/15 - Come Celebrate The Holidays With Your Favorite Friends! 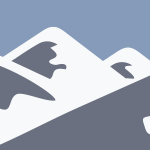 11/16/15 - Leaders sought for snowy (hopefully) treks! 11/05/15 - The Sandpoint Reader Give It’s Support!! 10/14/15 - Lets Get Together at McDuff’s Beer Hall!! 10/14/15 - Peak Experience gets a new look. 10/06/15 - Idaho Forest Group asks Congress to act on the Scotchman Peaks. 10/02/15 - Sandy Compton’s column in the Sandpoint Reader is about . . . goats! Ya think. 09/18/15 - Join us at Baxter’s On Cedar for fun, food and fundraising! 09/14/15 - Libby Harvest Festival is September 19! 09/04/15 - Things are calming down on the fire front. 08/28/15 - FSPW Events evolving as we move through the fire season. 08/28/15 - Adding to the pack. 08/17/15 - The Scotchmans are closed for fire. 08/12/15 - About Goats: LEAVE THEM ALONE! 08/07/15 - Pat McCleod’s trail work was a healing experience. 08/04/15 - Bonner Co. Fair and Huckleberry Festival – Right Around The Corner! 08/04/15 - Boulder White Clouds Passes Congress! 07/27/15 - Trail #65 is getting a new start. 07/08/15 - Callahan Peel of Troy adds to Voices in the Wilderness. 07/01/15 - What a great Fourth of July!! 06/30/15 - Our Annual Cinnabar Challenge Grant is ready for your match! 05/14/15 - Business of the Month! 05/12/15 - Thanks To All “Idaho Gives” Donors! 05/12/15 - Endorsement From The Missoulian! 04/13/15 - Nathan Mynatt joins the FSPW staff! 04/02/15 - MickDuffs and Scotchman Peaks mix it up. 03/26/15 - Jack Nisbet coming to Libby and Thompson Falls this weekend. 03/24/15 - A great day for the Scotchman Peaks. Bonner County Commission asks Congress to act! 03/19/15 - Pioneer Students Hungry for Data… and Hot Dogs! 03/17/15 - Governor Bullock of Montana has endorsed our proposal! 03/16/15 - We have filled the job. Thanks to all who have applied. 03/12/15 - “Mr. Wrench” leaves his tools for the wilderness. 02/26/15 - GOAT HOP PREMIER! 02/16/15 - Experience Winter Tracks! 11/28/14 - Hunting in Wilderness isn’t easy, but it’s worth it! 11/17/14 - In 2015, we celebrate ten years of advocacy, stewardship and education. 09/07/14 - Citizen Scientist Front: Preliminary Weed Mitigation Results Positive! 08/26/14 - A three hour cruise! 08/26/14 - Our Wild Weekend For Wilderness is coming September 5 and 6! 07/24/14 - Bad Medicine is good medicine. 07/06/14 - Winds in the Wilderness: This Land IS Your Land! 06/30/14 - Coming VERY soon to a Bull Lake near you! 06/07/14 - Winds in the Wilderness: Happy National Trails Day! 05/26/14 - Trail Skills Kickoff! 04/17/14 - ID FRIENDS GIVE! 04/16/14 - Its Wolverine Wednesday! 03/12/14 - It’s Wolverine Wednesday! Spring Break…. 02/26/14 - Anthony South won our 2013 photo contest, and then, he wrote this. 02/26/14 - It’s Wolverine Wednesday: Look who we found! 01/29/14 - It’s Wolverine Wednesday: Last Call for Stations! 01/21/14 - Celebrating 50 Years of the Wilderness Act. 01/15/14 - It’s Wolverine Wednesday! 01/15/14 - Coming to CDA, Friday Jan17th! 01/02/14 - It’s Wolverine Wednesday! 12/28/13 - Its Wolverine Wednesday! 12/18/13 - Its Wolverine Wednesday! 12/03/13 - FSPW Winter Season Kickoff ! 11/25/13 - $1000 grant for wolverines is looking for a match. 10/30/13 - Calling all Hikers! 10/23/13 - Housewarming Party for FSPW New Office! 10/02/13 - 2014 Winter Wolverine study. 09/16/13 - Volunteer Appreciation Party At Beyond Hope Resort! 08/28/13 - Time to start thinking about which photo you will enter in the contest! 08/27/13 - Friends’ movies coming to Seattle. 08/21/13 - Cinnabar Grant doubles your money for the wolverine project. 08/07/13 - September 28th – Friends of the Forest Day! 08/01/13 - Scotchman visitor likes what we do. 07/09/13 - Volunteers get paid in personal tender. 07/02/13 - Winners announced for 2013 Scotchman Peaks Essay Contest for high school seniors. 07/02/13 - Alexandra Kremes — Best Essay 2013 Sandpoint High School. 07/02/13 - Alex Walt — Best Thompson Falls High School essay, 2013 Essay Contest overall winner. 06/12/13 - Bonner County Fair — Dr. Seuss on the loose! 06/10/13 - Come hiking with Friends! 06/04/13 - Friends of Scotchman Peaks, Cabinet Resource Group, Forest Service and Avista plan June 9th cooperative National Trails Day event. 05/15/13 - The Summer Hike Schedule is up! 04/30/13 - Join in Idaho Gives May 2nd! 03/06/13 - It’s Wolverine Wednesday! 02/27/13 - It’s Wolverine Wednesday! 02/20/13 - It’s Wolverine Wednesday! 02/13/13 - It’s Wolverine Wednesday! 02/06/13 - It’s Wolverine Wednesday! 02/01/13 - It’s Wolverine Friday Again! 01/24/13 - Movie project moves toward completion. 01/24/13 - A night at the (FSPW) movies is on for March 14 and 16. 01/24/13 - Looking for some semi-free office space? 01/18/13 - Winter Ecology Hike – Feb 23rd! 01/09/13 - It’s Wolverine Wednesday! 01/02/13 - It’s Wolverine Wednesday! 12/28/12 - The 2013 winter hike schedule is up! 12/26/12 - Upcoming Wolverine Events! 12/26/12 - It’s Wolverine Wednesday! 12/19/12 - It’s Wolverine Wednesday! 12/12/12 - Wolverine Wednesdays Return! 12/12/12 - It’s Wolverine Wednesday! 12/06/12 - Winter Hike Season approacheth. 12/06/12 - 2012 Photo Contest winners announced. 11/06/12 - Wildman Jake Glass wins a Brower Youth Award. 10/04/12 - Friends of Scotchman Peaks repeats as Zoo Boise Conservation Fund grant candidate finalist. 07/11/12 - The Scotchman Peaks Stewardship Season takes off with a roar! 06/28/12 - Cinnabar Challenge Grant is $3000. Double your money now! 06/28/12 - Walk your way into the Fourth. 06/28/12 - Our Donation Page is changing! 06/28/12 - Help Us Make a Movie and put YOUR name on the big screen! 06/15/12 - Jess Teats wrote the best 2012 Essay at Troy High School. 06/15/12 - It’s “Bearly Summer!” Come bear with the rest of us on June 21. 06/15/12 - Walk for Wilderness on the Fourth! 06/15/12 - Annual Highway Cleanup on September 15. 06/06/12 - Sanders County Picnic is June 10! 06/05/12 - Trail Talk Tuesday premiers! 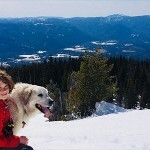 05/31/12 - Scotchman Peaks Education Series offers four events in June. 05/31/12 - Friends of Scotchman Peaks posts stewardship, education and hike lineups for 2012. 05/16/12 - Who will be the 2012 Old Goat! Find out May 26th. 04/11/12 - Sure is quiet around here. 03/28/12 - It’s Wolverine Wednesday! 03/07/12 - It’s Wolverine Wednesday! 03/06/12 - Gulo Gulo in the Cabinet Mountain Wilderness! 02/29/12 - It’s Wolverine Wednesday! 02/22/12 - It’s Wolverine Wednesday! 02/22/12 - The Busiest Bait Tree in Idaho! 02/15/12 - It’s Wolverine Wednesday! 02/08/12 - A marten here, and a marten there. 02/01/12 - A camera station at night! 02/01/12 - Wildlife film festival scheduled for Libby and Thompson Falls. 01/31/12 - Tracking class scheduled for Feb. 20th. 01/25/12 - It’s Wolverine Wednesday! 01/23/12 - Enjoy Firkin Friday the wolverine way. 01/18/12 - It’s Wolverine Wednesday! 01/04/12 - It’s Wolverine Wednesday! 12/28/11 - Let the Season Begin! 12/15/11 - Sanders County Essay winners for 2012 announced. 12/13/11 - Attention Wolverine Wannabes! 12/13/11 - Trainings scheduled for wolverine station leaders. 12/07/11 - The 2012 winter hike schedule is ready for viewing! 12/07/11 - Give the Gift of Wilderness! 11/30/11 - We’re going wolverine hunting. 11/30/11 - It’s almost wolverine season! 11/29/11 - Brian Baxter will lead tracking classes on Dec. 10 and Jan. 14. 11/23/11 - We have new wine labels! 11/23/11 - Wolverine project coordinator starts work this week. 11/10/11 - Cinnabar match is made! 11/07/11 - A big thanks from the Forest Service for our volunteers. 11/07/11 - Thanks to all the folks who helped plant trees! 11/04/11 - Wolverines be warned — thanks to Zoo Boise, it’s game on! 11/04/11 - FSPW wins Zoo Boise grant in a landslide. 10/07/11 - Help Us Protect Wolverines! 10/06/11 - Sanders County Waterfest was damp and fun. 10/06/11 - FSPW will table at Radical Reels on October 15. 09/07/11 - Forth Annual Wilderness Essay Contest begins! 09/02/11 - September Volunteer Opportunites! 09/02/11 - Double your donation! 09/02/11 - Here come the painters! It’s the Plein Air Paint Out! 09/02/11 - Interested in helping out with a GRIZZLY BEAR study? 08/29/11 - A Salute to Aldo Leopold! 08/26/11 - September 30th: Wild Night for Wilderness! 08/25/11 - September 24th: Highway Clean-Up Day! 08/15/11 - A New Grizzly Bear Study Wants YOU! 08/04/11 - There’s no knowing where you might be swept off to. 07/27/11 - August 31st: Green Fire! 07/27/11 - August 23rd – 27th: Bonner County Fair! 07/27/11 - August 20th: Little Spar Creek Trail Project! 07/22/11 - The apple doesn’t fall far from the tree. 07/21/11 - August 12th-14th: Huckleberry Festival! 07/20/11 - USFS, FSPW take back Trail #556. 07/20/11 - July 23rd – 24th: Pillick Ridge Trail Project! 07/11/11 - We finished the trail! 07/06/11 - July 9th and 10th: Trail Project! 06/29/11 - The day I almost climbed Scotchman Peak. 06/29/11 - July 4th: Independence Day! 06/24/11 - July 2nd: Clark Fork Centennial Celebration! 06/20/11 - Endorsements from Sandpoint Chamber and Rotary Club gained. 06/14/11 - Students in three counties weigh in on wilderness. 06/08/11 - June 19th: Troy Boogie Music Fest! 06/08/11 - Three (very different) hikes. 05/26/11 - Student Conservation Association intern arrives. 05/17/11 - Cate Huisman blogs about Mustelids and the Scotchmans. 05/06/11 - “Queen of the Sun” reminds us to take better care of the planet. 04/27/11 - June 10: Jack Nisbett to speak at the Clark Fork Senior Center. 04/13/11 - Plein air artists grace new FSPW note cards. 04/12/11 - Track these Spring classes to better woods savvy. 04/02/11 - April 15: International Wildlife Film Festival at the Panida Theater. 04/02/11 - The last StoryTelling Company of the season is April 10. 02/25/11 - Friends of Scotchman Peaks Wilderness 2011 essay competition opens. 02/25/11 - Get those winter pictures sent in! 02/21/11 - We Salute our Volunteers! 02/19/11 - Wonder What We Will Find? 02/14/11 - En Plein Air premiers in Sandpoint February 20. 01/27/11 - Coming Up: Wildlife, wolverines and wild life. 01/26/11 - The season of the wolverine begins before the year of the Rabbit. 01/19/11 - Lewiston Extreme Plein Air Show Brings Out 240 Folks. 01/11/11 - Winter Hike Season Begins Jan. 15. 12/23/10 - FSPW Winter Photo Contest begins with first hike on January 15! 12/09/10 - Snow time ain’t no time to stop hiking. 11/23/10 - Survive winter with films, prizes and education! 11/18/10 - The tread is to tread upon — stay on it. 11/08/10 - Foster’s Crossing hosts Scotchman Peaks Paintout show. 11/08/10 - Reception marks Plein Air art move to Foster’s Crossing in Sandpoint. 10/25/10 - StoryTelling Company show successful in several ways. 10/12/10 - $4,000 Cinnabar Challenge grant fulfilled. 10/12/10 - Summer hikes end. Winter hikes coming up. 10/06/10 - Scotchman Peaks 2010 photo contest closes for the season. Keep an eye on Facebook! 10/05/10 - Third Annual Scotchman Peaks Paint Out proves artistic success. 09/30/10 - Further confessions for a former couch potato: Wild, Wild Washington, D.C.
09/17/10 - Cinnabar matching grant total at $2599. Room for $1401 more. 09/13/10 - Friends of Scotchman Peaks third Annual Plein Air Paint-Out scheduled for September 24-26. 09/08/10 - Passages: Walkin’ Jim Stoltz has left the planet. 09/08/10 - Milestone reached: 3,000 Friends of Scotchman Peaks Wilderness. 09/02/10 - Montana Headwall Magazine “reviews” the Scotchman Peaks. 09/01/10 - We could not have said it better ourselves. 08/31/10 - Further confessions of a former couch potato: To the top of Sawtooth . . . again. 08/31/10 - We have identified our 3,000th Friend! 08/26/10 - Coming to a theater (or website) near you. Wildman Pictures presents! 08/09/10 - Attention uninitiated: plenty of hikes left this summer season. 08/07/10 - We need a volunteer sign up our 3000th Friend. 08/07/10 - 3000th Friend is due in August. Will you sign them up? 08/02/10 - July 31 Yaak Wilderness Festival was a winner. 07/21/10 - Three matches for Cinnabar equal $850. 07/08/10 - Further confessions of a reformed couch potato: We go now. 06/30/10 - July Star Peak trail workdays makes a difference. 06/25/10 - Extreme Pleinair prehike yeilds wolf tracks and waterfalls. 06/21/10 - Friends of Scotchman Peaks Wilderness and Forest Service personnel add up to a job well done. 06/18/10 - First day of summer: a day of the future, past. 06/16/10 - Trail #65 Workday was a big success. 06/08/10 - The 2010 Summer Scotchman Peaks Photo Contest is underway. 05/24/10 - Wild Idaho was a wildly good time. 05/20/10 - Further confessions of a reformed couch potato: Why. 05/13/10 - A fine evening for the State of the Scotchmans. 05/03/10 - All-new 2010 summer hike schedule is now online. 04/30/10 - May may be busy around here. 04/13/10 - Trail #65 workday set for June 19. 04/08/10 - Confessions of a former couch potato: Elk and the two-syllable word. 04/01/10 - Top however many reasons to be a FSPW volunteer or hike leader. 02/25/10 - Mr. Scotchman has Facebook figured. 02/22/10 - Way to Go Brad! 02/18/10 - Do wildlife turn out for wildlife films? 02/16/10 - MWA Summer Hike deadline is near. 02/04/10 - New banners from Bonner Awards help us tell our story. 01/14/10 - Good news for bull trout is good news for land dwellers, too. 12/27/09 - Scotchmans Essay Contest: Does Wilderness Have Value? 12/23/09 - 2010 Winter Hike Schedule is a brain freezer. 12/18/09 - Congratulations Jerry Brown! 11/04/09 - Another Fine Fall Day! 11/02/09 - Hot off the Press!! 11/01/09 - Adopt a Highway and Wilderness – Huh? 03/28/08 - Second Annual Goat Mountain Hop sets record! 05/10/07 - Great Old Broads Coming To Scotchmans!